President Uhuru Kenyatta is under intense pressure from a section of his handlers to think twice in having William Ruto as his running mate in 2017. Aware of the move, Ruto handlers have worked on a counterscheme to block the move. They are pushing to have all parties within the alliance dissolved to form one entity in the next two years. Here, a Memorandum of Understanding is to be worked on whereby Ruto will back Uhuru 2017 under one party not an alliance of parties and then have Ruto run on the same ticket come 2022. They want to transform and rebrand Jubilee into a party and not the coalition it is today. With this, Ruto wants to lock out potential presidential candidates who Uhuru may want to engage head of 2017. It is imperative to note that Kanu which is associated with Gideon Moi and UDF of Musalia Mudavadi have been working with Jubilee. Mudavadi and Gideon are sworn Ruto political enemies. Initially, URP plan was to have Uhuru rule for five years then allow Ruto to go for another term and then Uhuru again before Ruto completes his final one. However, Uhuru moved fast and declared he will run for presidency in 2017 getting Ruto and his allies offguard and scuttling the initial arrangement. They have decided to work on option two bearing in mind it is not a must Uhuru to have Ruto as his second in command come 2017. Documents filed with the registrar of political parties by Jubilee allows a window of any party involved moving out and striking other deals if it feels aggrieved. Further, the political history in Kenya shows since the introduction of multi-party democracy, alliances never last for a second term. The second Kenyatta to occupy the Kenyan presidency walked into office with Ruto as deputy. But now, one-and-a-half years later, Uhuru is under pressure to drop Ruto as his running mate at the all-important 2017. 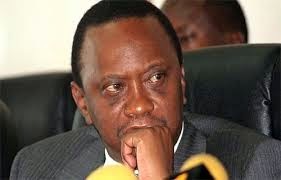 Uhuru is being besieged on some sides to let go of his fellow accused at the Kenyan crimes against humanity cases at the International Criminal Court in The Hague. Even Raila is working in overtime and overdrive to drive a wedge between Uhuru and Ruto. Raila has finally found a formula to seriously threaten the surprise unity of the Kikuyu and the Kalenjin that saw the emergence of The National Alliance and United Republican Party as the ruling Jubilee coalition. This magic formula is Kenya’s third national referendum on constitutional matters which is now unfolding with the twin, but, so far, separate heads of Cord’s Okoa Kenya and the Council of Governors’ pesa mashinani campaigns. To his dismay, Ruto has looked on as Council of Governors’ chairman Isaac Rutto, who is governor of Bomet, wins some Rift Valley governors and MPs to the pesa mashinani campaign. This poses the danger of large sections of Ruto’s own URP voting with the opposition in the event that Okoa Kenya and pesa mashinani unite. Also pressuring Uhuru are sections of the Mt Kenya functionaries who have never been comfortable with the Kikuyu-Kalenjin power pact that delivered the Kibaki succession. These Kikuyu tycoons are desperately pressing Uhuru to exercise the community’s options if he is to serve a full two terms. An interesting struggle has been unfolding inside Mudavadi’s United Democratic Forum party. Nick Wanjohi is said to be using his influence to control the party linked to him when Kibaki was in power. Wanjohi is Kibaki’s private secretary, the same designation that he occupied in the retired president’s second and final term. Wanjohi was the most influential among the founders and funders of UDF when he was still a member of an incumbent presidency. He was among a number of far-sighted Mt Kenyan strategists who had convinced Kibaki that Kikuyu interests would be far safer and thrive more if he was succeeded by a reliable non-Mt Kenyan than if another Kikuyu was seen to ascend the throne of the presidency. Kibaki did not need much persuading that Mudavadi fitted the bill comfortably and would be a safe pair of hands as a successor. By deciding on Mudavadi before other Mt Kenya factors intervened and prevailed, Kibaki was well aware that he was having a Daniel arap Moi moment (with Uhuru Kenyatta back in 2002) of his own. Even now Kibaki and his closest handlers such as Wanjohi know in their heart of hearts that Mudavadi remains key to the Mt Kenya region’s future calculus. Close observers of the UDF crisis in the media, diplomatic and political sectors are increasingly convinced that despite Wanjohi’s denials, someone, somewhere who cannot be seen to be playing presidential race politics wants Mudavadi to float around so that he is available as an option in the event that Ruto is not going to be Uhuru’s preferred running mate in 2017. These strategists have started to lay the ground early. They are far-sighted. Although, they are not interfering with Uhuru’s second term chances, their eyes are firmly on the president’s own succession come 2023. In their calculus, the political ground will have shifted in such a way by that time that the populous Luhya nation could finally be ready to line up totally behind one of its own, with considerable traction from the mountain. Meanwhile, Ruto has lost all his main Kalenjin power elite investors, many of whom he has estranged by his style of leadership. One of two things will happen next – the Kalenjin and old money could shop around for a new figurehead to replace Ruto and renew the MoU with the Kikuyu on condition that Ruto is not on the 2017 Presidential ticket, or they could return the community to opposition. The Mt Kenya elite do not want to see the Kalenjin revert to opposition and would cut any deal to avert that outcome. 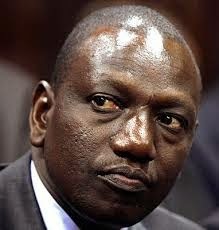 This is both Ruto’s remaining strength and greatest weakness. The Mt Kenyans are also shopping around for a new “tyranny of numbers” paradigm, over and above the MoU with the Rift Valley, and they are prepared to spend to secure it. This is both Mudavadi’s remaining relevance and greatest danger. Danger, if he is unable to bring the numbers to the high table of the next presidential race. He had 500,000 votes to the nearest round figure last year – if he can double or treble this number in 2017, he could be the man to beat in 2023. And Mwai Kibaki’s vision of 2013 could be proved right exactly 10 years later, just as Daniel Moi’s giraffe vision was between 2002 and 2013.